UNNATI - The Inclusive Growth Programme in Nepal is funded by the Danish Government with a total budget of DKK 400 million. The key priority of the programme is to strengthen market-based growth with a focus on reducing poverty and improving living standards in Eastern Nepal. FCG Sweden is supporting the implementation of the components on commercialisation of value chains and on infrastructure. The development of four value chains are being supported through the programme: Orthodox Tea, Ginger, Dairy and Large Cardamom. 2018 is the last year of this five-year programme and there are lots of activities ongoing. As a part of the package of practice for improved cardamom production, the practice of vermi-composting has been introduced in the cardamom fields. 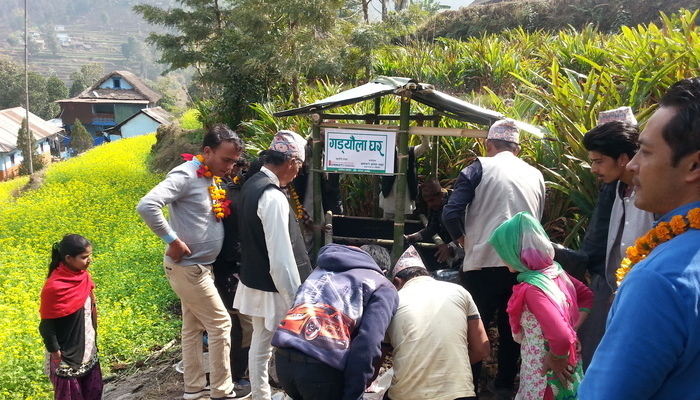 As an introduction of this new technology, a farmers’ group was supported in Tharpu-3, Panchthar district through an agreement done with the community to implement community based overall technology promotion programme in cardamom cultivation. This is being funded through the UNNATI Challenge Fund. To find out more about this work, read this blogpost by the UNNATI M&E Specialist Laxmi K Amatya entitled Going hand in hand – Vermi Composting and Cardamom Cultivation. The UNNATI website also includes much more information about the programme at its activities.